Did a show for Malaysia Internation Jewelry Fair Jewelry Design Awards. Models get to wear the world's one and only unique jewelry piece that stands out and win itself an award. There are many countries that took part in this competition, am proud that out of 4 categories, 3 winners are from Malaysia. Sorta reminds me of the beautiful love story that's been a legend among the Chinese - Liang Shan Bo and Zhu Ying Tai. Quite similar with Shakespeare's Romeo & Juliet but I think they are way more romantic. In the end, both of them died and transform into butterflies. 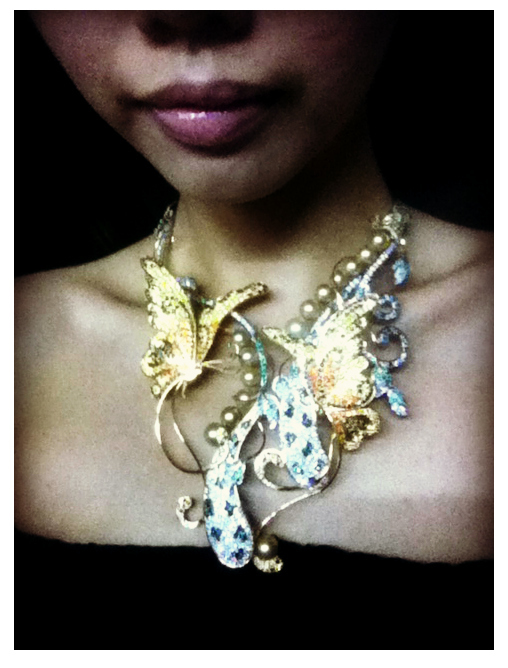 I asked the person-in-charge Maggie, estimation worth of this necklace. She told me most probably over a hundred thousand Malaysia Ringgit. No wonder there's security with a shot gun standing at the backstage standby in case any of us try to flee away with these jewelry. lol. Bad lighting at the backstage area, can't really see clearly the details of this masterpiece. Or is it my sucky-o-ipod? Cutie Cherry, and the bangle is called - Melting. I like the unique design of the bangle. Heard that there's a princess booked this piece already! 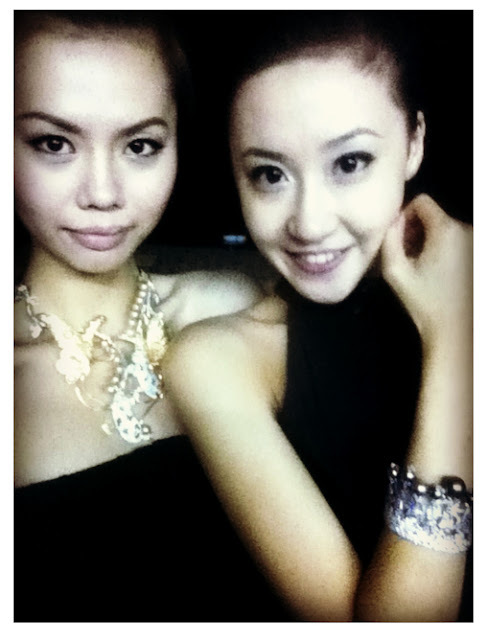 With the girls backstage, show's starting soon~! 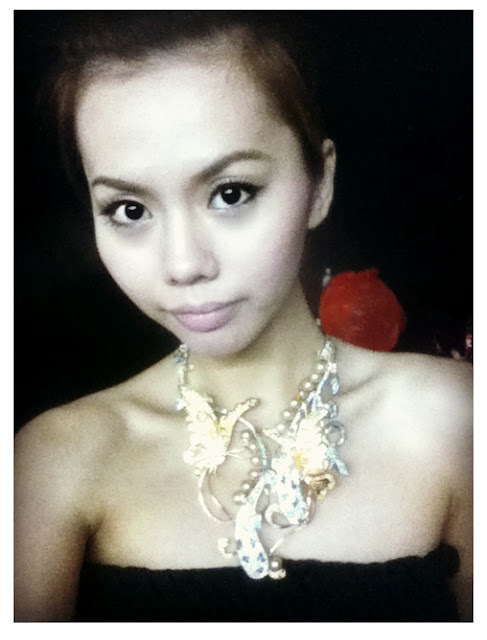 Thanks le bf who came to support me and took photos for me. The photo quality is superb! Thanks love. Thank you MIJF and Elite Expo for giving me this wonderful opportunity in strutting will the beautiful necklace. 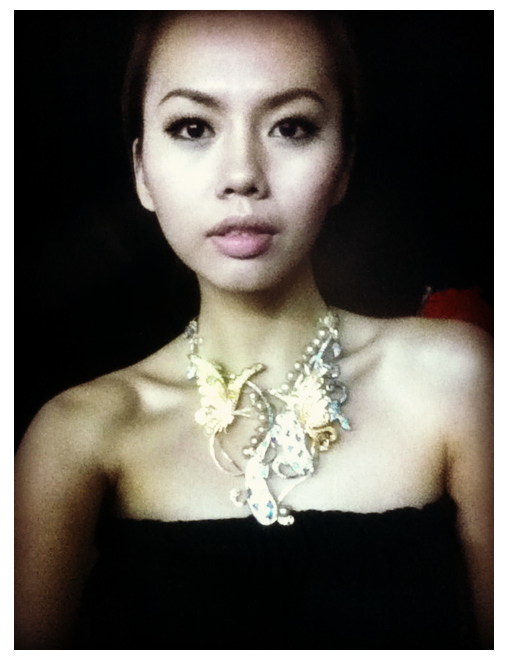 It's really an unique experience for having over hundred thousand worth of jewelry placed around my neck. 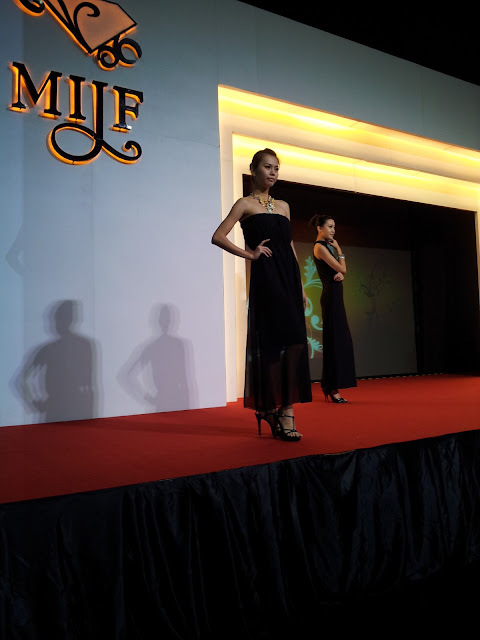 Another experience of different type of catwalk achieved - Jewelry show. I still have so much more to learn in the modeling industry. Hope to get more and more chances to do more awesome show in the future.